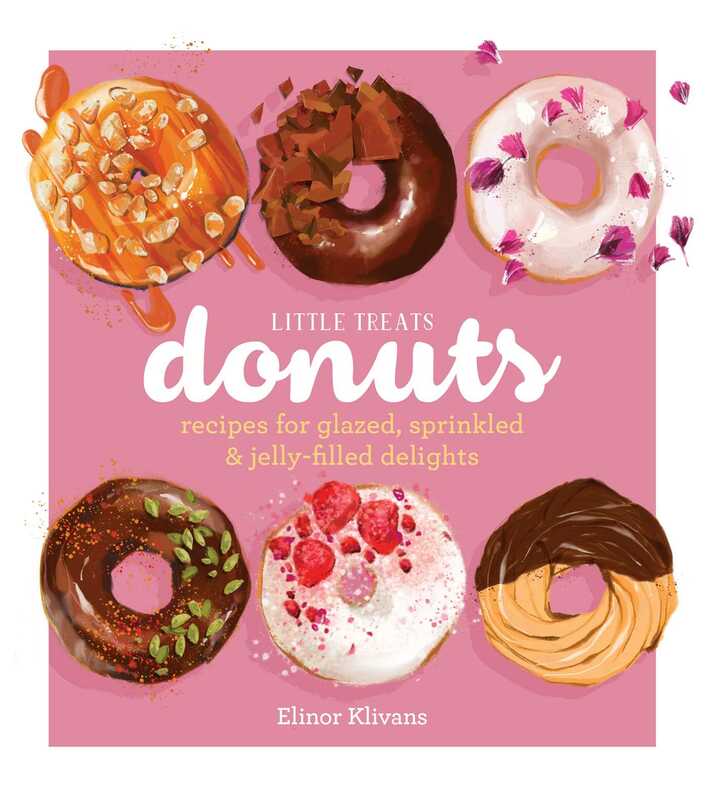 This adorably illustrated collection of more than 40 outstanding recipes for donuts—from yeast-raised puffs filled with jelly, to glazed rings topped with toasted nuts, to chocolate-covered bite-size drops—guarantees a special treat for everyone. Whether you prefer your donuts glazed, chocolate dipped, dusted with cinnamon, sprinkled with toasted coconut, or filled with jelly, you’ll find the perfect treat in this delectable collection. From everyday treats to special-occasion creations, the recipes include classics like vanilla-glazed, cider, and jelly-filled donuts as well as contemporary flavors such as pistachio-orange, baked chery streusel, and maple-bacon donuts, and speciality from around the world including beignets and bombolini. In addition to these mouthwatering recipes, which are accompanied by gorgeous illustrations, you’ll find a primer on dough types, tools, and techniques—rolling, cutting, and deep-frying— that will guarantee success when making donuts at home.